Grass-fed lamb is exactly what the name implies. While it was alive, the animal was fed feed that primarily consisted of grass and hay. The result is that it took a few months longer for the animal to grow to its final market weight in comparison to lambs that had a grain-rich diet. Meat from grass-fed lamb is rich in omega-3 fats, something we typically receive from nuts and fish. Not only do omega-3 fats play a crucial role in binding receptors to cells, but they also help control RA symptoms and decrease the risk of heart disease. The omega-3 ratio is so high in grass-fed lamb that Australian nutritionists have declared it the third highest source of omega-3 fats in the country. In comparison to grain fed lamb, the meat from the grass-fed lambs contains up to 29% more omega acids. Research indicates that grass-fed lamb is high in conjugated linoleic acid (CLA.) Even though CLA is considered an omega-6 fatty acid, something that isn’t considered healthy, CLA doesn’t have the same negative impact on the human body as other omega-6 fatty acids. In fact, consuming a moderate amount of CLA actually aids with weight loss and helps build stronger muscles. Although the lamb’s exact diet influences the amount of CLA found in the meat, on the average, 4 ounces of grass-fed lamb contains 25 milligrams of CLA. The American Diabetic Association believes that more Americans should consume lamb. 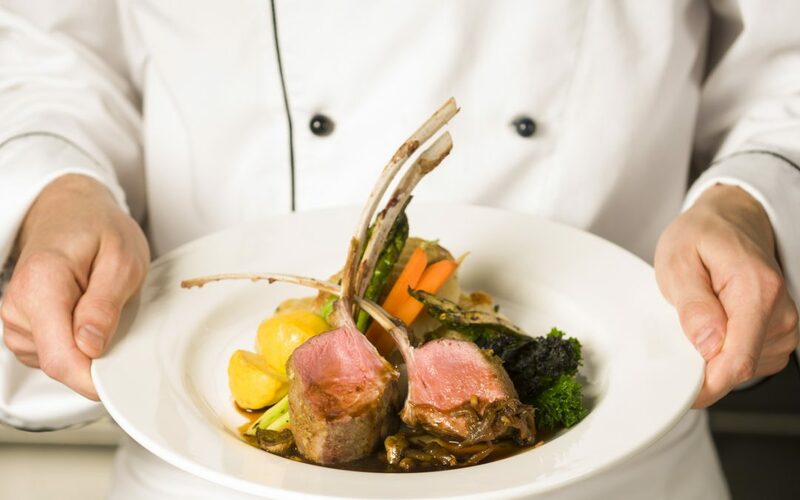 The organization has noted that diabetics who consume lamb on a regular basis have a much easier time regulating their blood sugar levels, which means they use less insulin and enjoy a healthier existence. The carb-content of a 3-4 oz piece of grass-fed lamb is so low, the meat seldom appears on lists that rate glycemic index (GI) values. The United States is one of the only developed countries in the world that doesn’t consume large amounts of lamb. If that changes and Americans finally start making grass-fed lamb a regular part of their diet, there’s a good chance that the number of reported health problems connected to diabetes and obesity would decrease. Contact Rafter W Ranch to learn more about pasture-raised lamb. Don’t forget to check out their fantastic grass-fed meat recipe section!